I found a bottle on my property and was wondering the worth of it. Front side in all Caps says "GARRETT & CO.INC", ESTABLISHED 1835 * PIONEER AMERICAN WINE GROWERS. 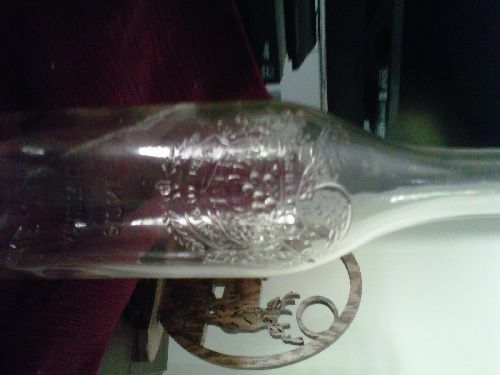 Back side has an emblem with an eagle at the top and inside the emblem has the words GARRETT'S AMERICAN WINES". At the bottom on the back it says "CONTAINS 4/5 QUARTS". On the bottom it says "REFILLING PROHIBITED" HAS A NUMBER 11 IN THE MIDDLE. THERE ARE A FEW OTHER WORDS ON THE BOTTOM THAT i CAN NOT MAKE OUT. 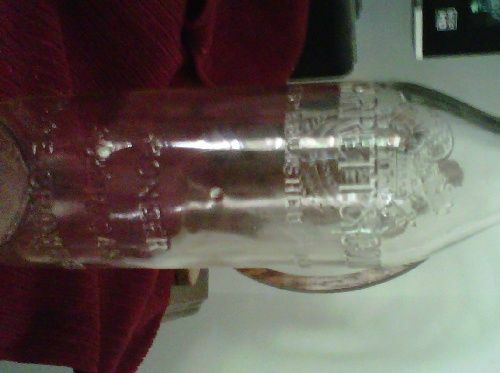 CAN YOU HELP ME ESTABLISH THE WORTH, IF ANY, ON THIS BOTTLE AS i AM SURE THE PROPERTY HAS MANY MORE. cork top or screw top? mold seam goes how far up the neck? I have the same bottle with seam to the neck but the seam on one side is crooked, not cracked,just crooked. It's only 2/5 pt, liquid inside cork top w a sort of glass ring molded into the bottle before the cork, Besides the label and info above there is a partial sticker which says, State of Wisconsin And established 1875 Any suggestions? Can you provide a picture or two? If it is value you seek, my hunch is that the label is going to be the important factor...visual appeal is everything. The instructions on this post (https://forum.antiquebottles-glass.com/discussion/3/how-to-add-photos-to-your-posts#Item_3) work fine for a Mac, too....just tested that. 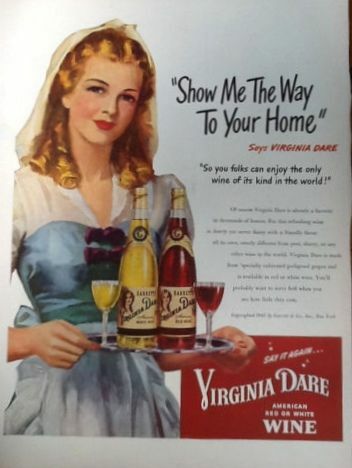 Below is a advertisement I found on ebay - dates from mid 1940s. Another ad from 1943 which specifically says Garrett and Co, Brooklyn, NY at the bottom. Thanks all of you for your help, When I try to follw the attach a photo instructions all I get is a bunch of writing but no photos.. I've tried to do several files but none attach. Chris do you have anymore detailed instructions? I'm not a very good computer operator.